Dr. Suhas Tuli is a board certified ophthalmologist specializing in corneal and refractive surgery. 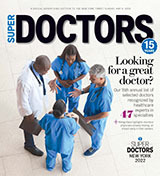 She’s been selected as one of “America’s Top Ophthalmologists,” in addition to being named to the Super Doctors list. She has published in ophthalmology journals, and book chapters. She completed a fellowship at the prestigious Wilmer Eye Institute at Johns Hopkins University. Following her residency training, she completed another fellowship at the USC Doheny Eye Institute. Dr. Tuli currently serves as the chairman of the Department of Ophthalmology at Providence Saint Joseph Medical Center. Dr. Tuli has done charitable work in India and the U.S.